Emotional bullying is another term for ostracization. It occurs when one person (or group) is singled out and systematically shut out or shunned by others. Here are steps your child can take if they are ostracized or subject to abuse by emotional bullies. There is a link at the bottom for strategies for parents to take. What is bullying? 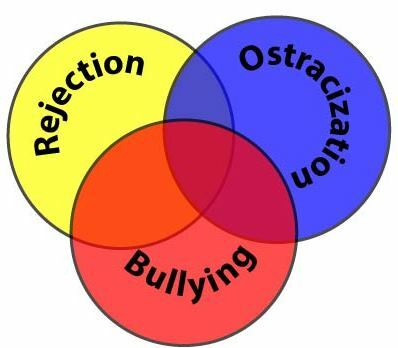 Compare rejection, ostracization, and bullying. Why Is MY child shunned? Reasons some children are singled out. Teach your child how to deal with a bully. When and how to report bullying to authorities. Should you homeschool if your child has been bullied.